The time has come for enterprise risk management to change. Mobile devices have become core to our personal and professional lives, yet most enterprises remain focused on traditional PC endpoints. PC security controls to your mobile fleet is ineffective. Enterprise risk management needs to evolve to address mobile risks, and security professionals must architect mobile-specific security. 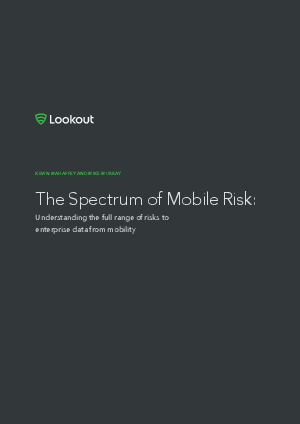 provide data that demonstrates the prevalence of mobile risk.